October 9, 2013. Co-curricular activities Coaches and Players spend countless hours practicing in order to be prepared for their game. It doesn’t matter. 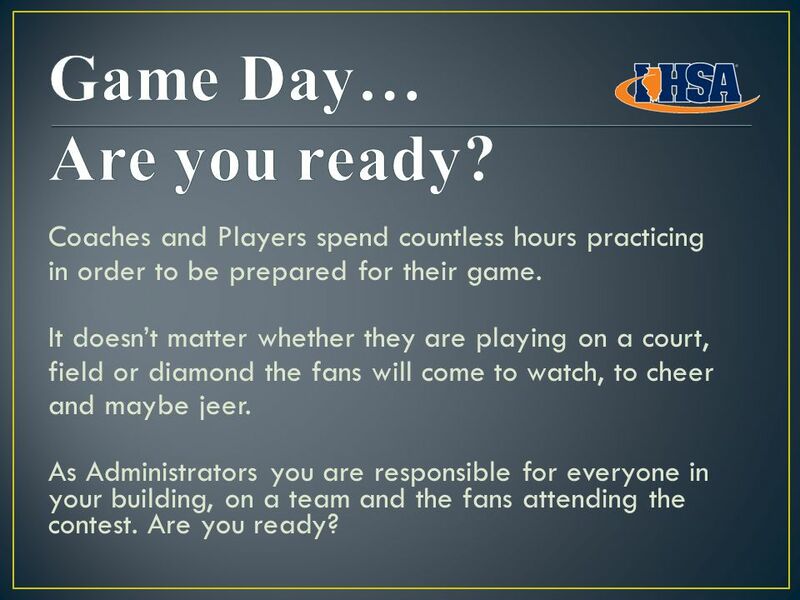 3 Coaches and Players spend countless hours practicing in order to be prepared for their game. It doesn’t matter whether they are playing on a court, field or diamond the fans will come to watch, to cheer and maybe jeer. 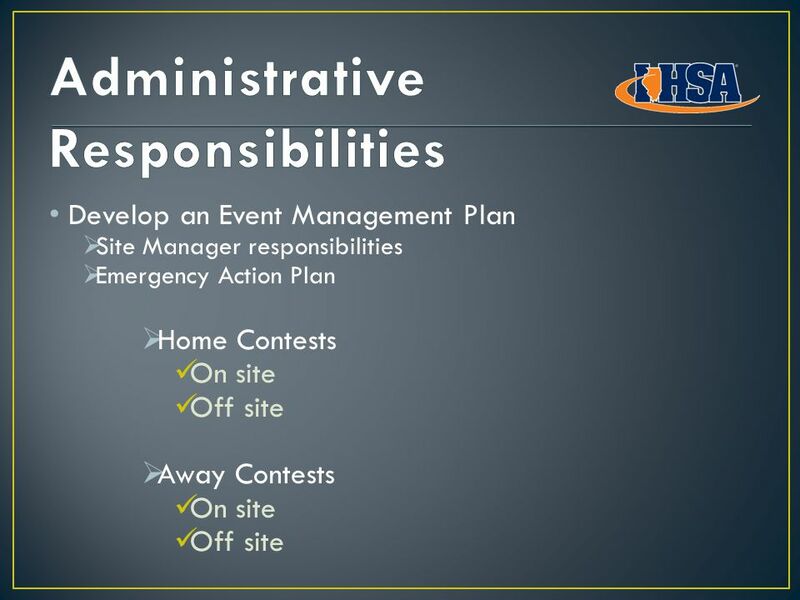 As Administrators you are responsible for everyone in your building, on a team and the fans attending the contest. Are you ready? 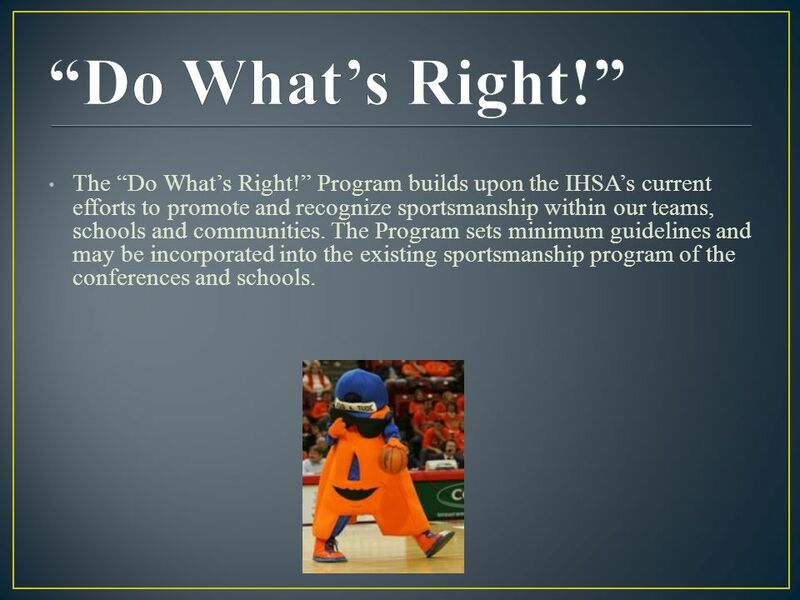 8 The “Do What’s Right!” Program builds upon the IHSA’s current efforts to promote and recognize sportsmanship within our teams, schools and communities. The Program sets minimum guidelines and may be incorporated into the existing sportsmanship program of the conferences and schools. 9 When a conference or school registers for the Do What’s Right! program, they agree to communicate and actively educate their students, fans and communities of the following: Do What’s Right! 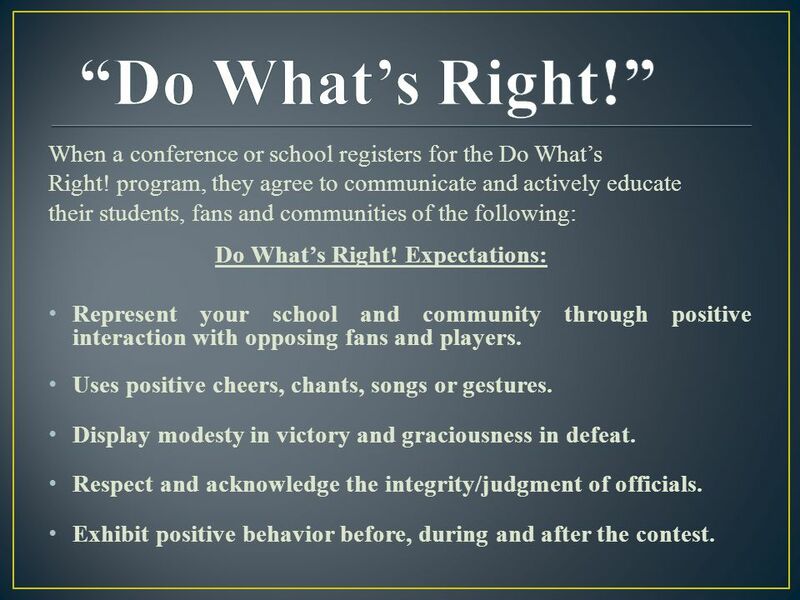 Expectations: Represent your school and community through positive interaction with opposing fans and players. Uses positive cheers, chants, songs or gestures. Display modesty in victory and graciousness in defeat. Respect and acknowledge the integrity/judgment of officials. Exhibit positive behavior before, during and after the contest. 10 1. 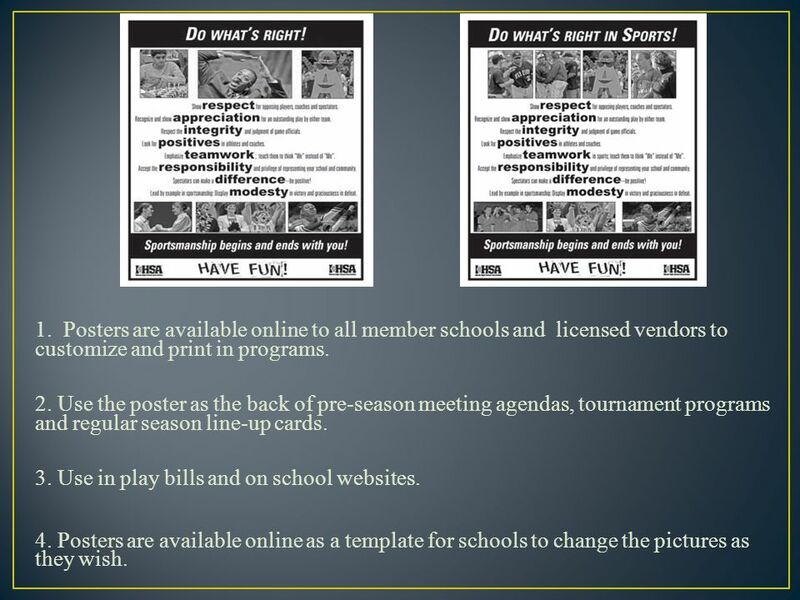 Posters are available online to all member schools and licensed vendors to customize and print in programs. 2. Use the poster as the back of pre-season meeting agendas, tournament programs and regular season line-up cards. 3. Use in play bills and on school websites. 4. Posters are available online as a template for schools to change the pictures as they wish. 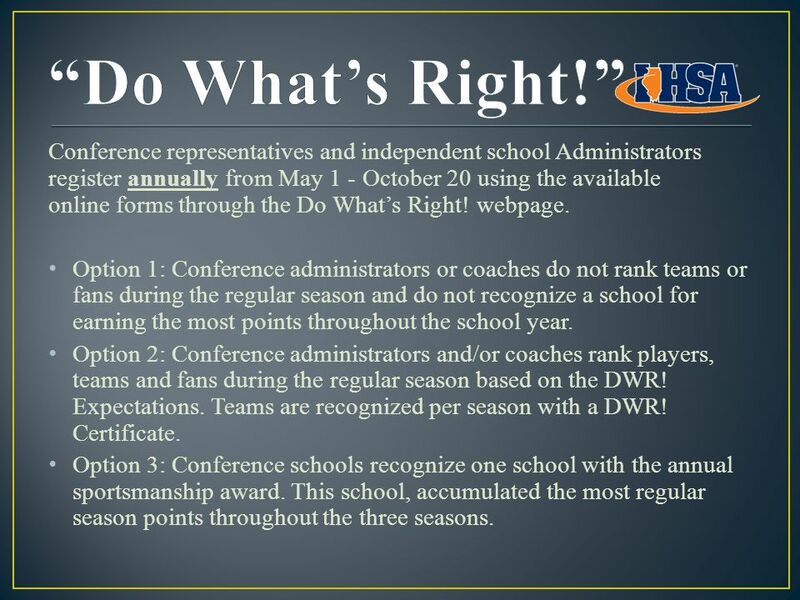 11 Conference representatives and independent school Administrators register annually from May 1 - October 20 using the available online forms through the Do What’s Right! webpage. 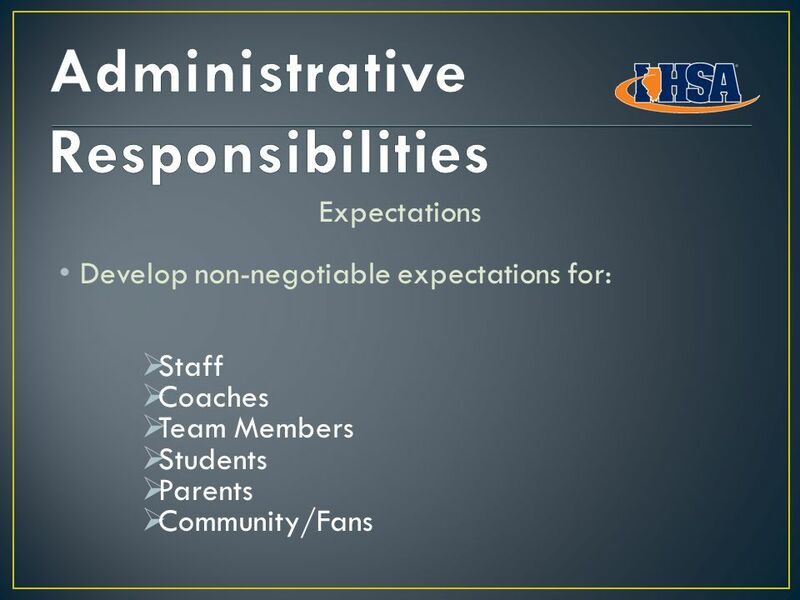 Option 1: Conference administrators or coaches do not rank teams or fans during the regular season and do not recognize a school for earning the most points throughout the school year. Option 2: Conference administrators and/or coaches rank players, teams and fans during the regular season based on the DWR! Expectations. Teams are recognized per season with a DWR! Certificate. 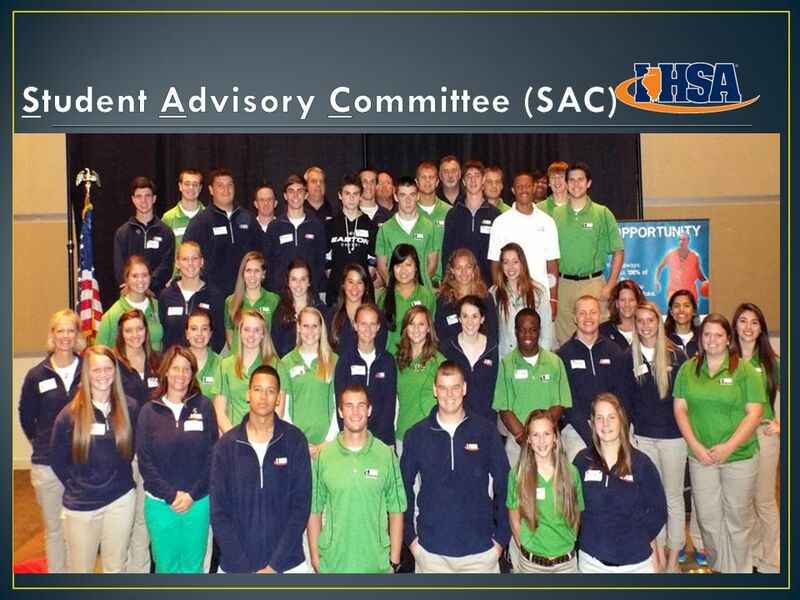 Option 3: Conference schools recognize one school with the annual sportsmanship award. This school, accumulated the most regular season points throughout the three seasons. 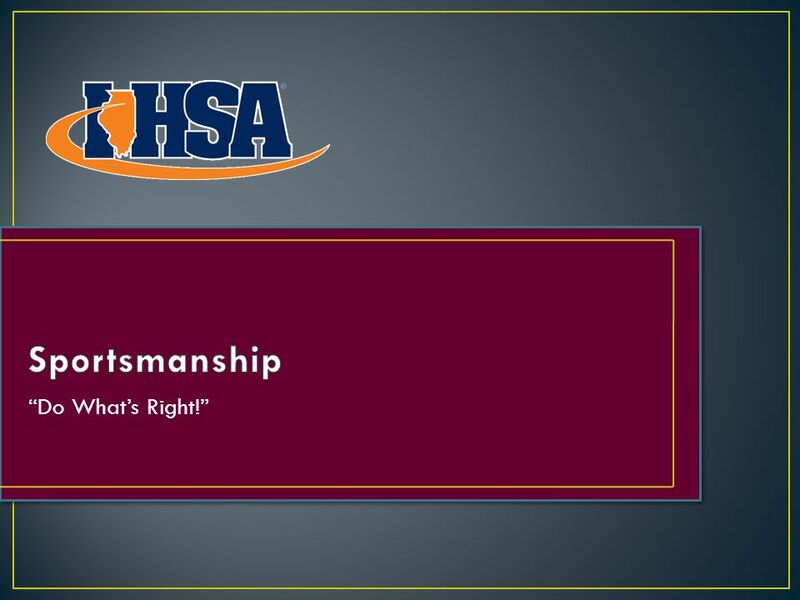 12 Sport A Winning Attitude SAWA Reports should be used to report any instance where a coach, player, team, official, or spectator has demonstrated exemplary sportsmanship at an IHSA interscholastic contest. 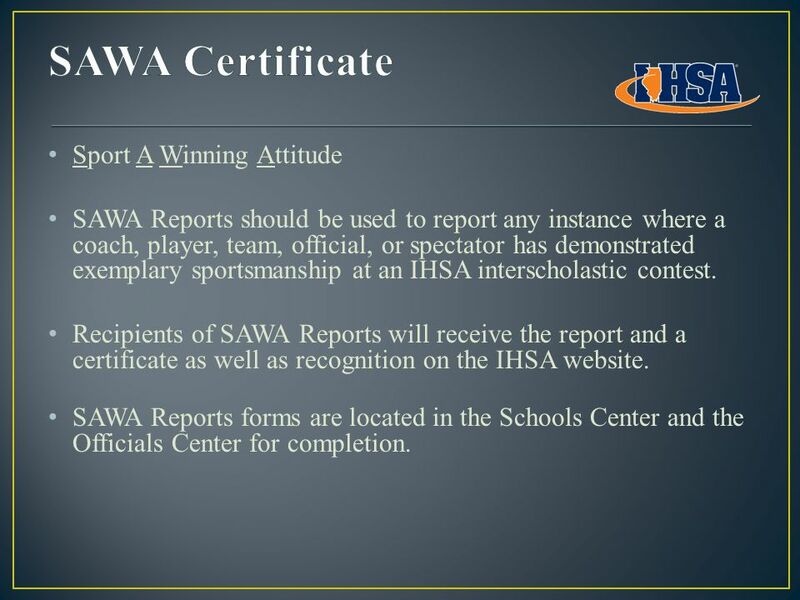 Recipients of SAWA Reports will receive the report and a certificate as well as recognition on the IHSA website. SAWA Reports forms are located in the Schools Center and the Officials Center for completion. 13 You can have Add A. Tude bring the right attitude to your event. Charming and energetic, Add A. Tude is perfect for assemblies, conferences, special events, and any sporting contest. Add A. Tude is comfortable anywhere! The Add A. Tude mascot is scheduled to make public appearances throughout the school year. Among the venues will be the state tournaments for both the IHSA and the IESA, the IPA Fall Conference in October, the State School Board Joint Conference, and the IADA Annual Conference. 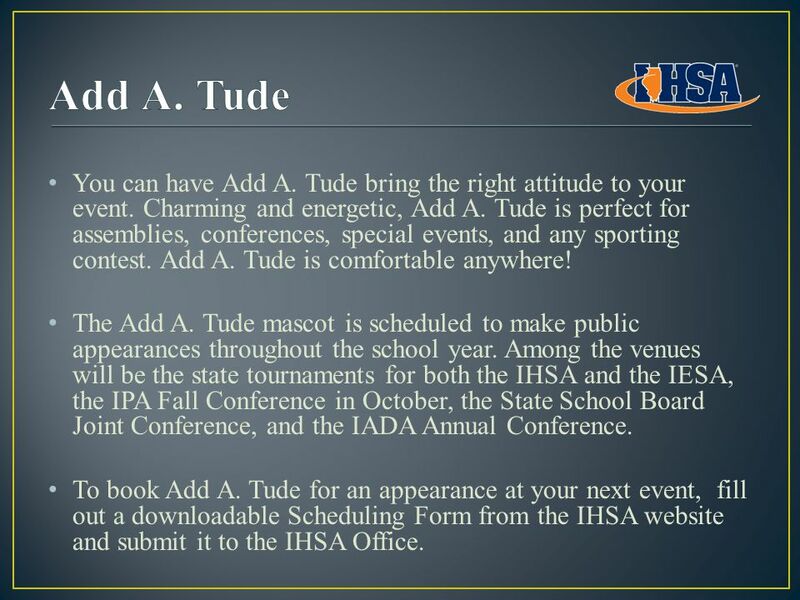 To book Add A. Tude for an appearance at your next event, fill out a downloadable Scheduling Form from the IHSA website and submit it to the IHSA Office. 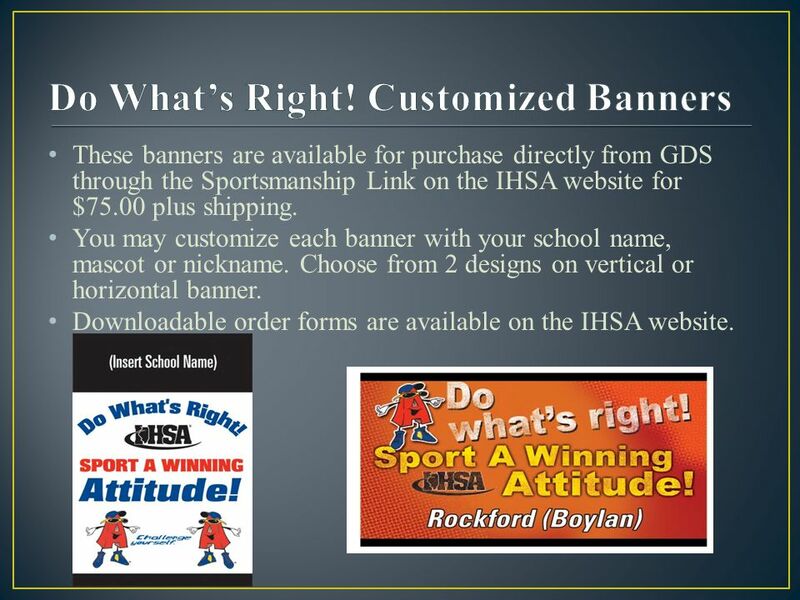 14 These banners are available for purchase directly from GDS through the Sportsmanship Link on the IHSA website for $75.00 plus shipping. You may customize each banner with your school name, mascot or nickname. Choose from 2 designs on vertical or horizontal banner. Downloadable order forms are available on the IHSA website. Download ppt "October 9, 2013. Co-curricular activities Coaches and Players spend countless hours practicing in order to be prepared for their game. It doesn’t matter." Designing the Season to Accomplish Goals Dustin Duncan Toby Kechter. PREPARED BY: Central Coast Section, California Interscholastic Federation (with great assistance from the NCS) SUPERVISION OF ATHLETIC EVENTS. Steve Sell Athletic Director Aragon HS Dan Burns Assistant Superintendent Salinas UHSD Ed Buller Athletic Director Oak Grove HS. For the Love of the Game. Positive Sporting Behaviors – IT STARTS WITH YOU! Barrington Middle School Athletics Program Informational Forum Hosted by: Cathy Berei Wednesday, June 1, 2011. Principle 13 Community Engagement/ Game Environment. 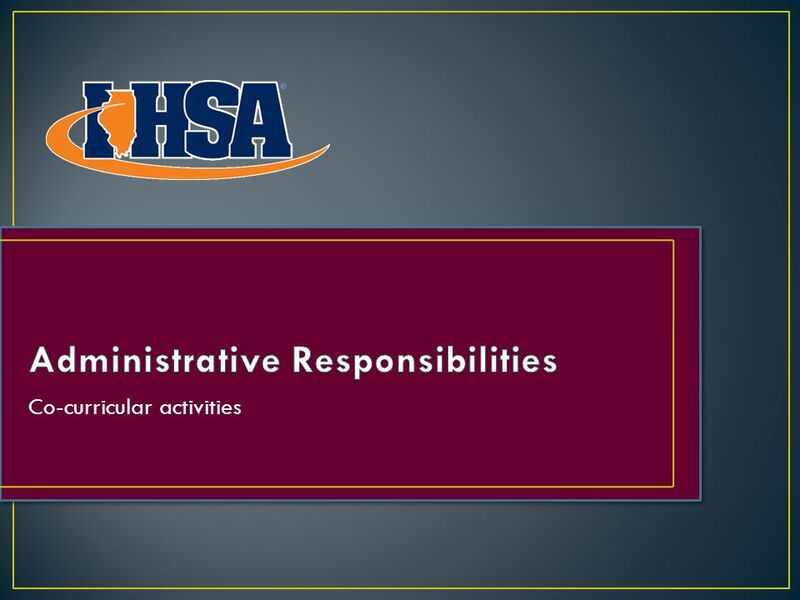 At some point this year… a coach, athletic director, athlete, parent or fan will ask you about the IHSA’s postseason assignments. This presentation is. Harold A. Meyer Award Application. Part 1: Board Policy Our school has a written Board of Education policy on sportsmanship, ethics and integrity. As coaches, administrators and educators, we hope to instill in our students the desire to act with character, not just because they believe it is expected. 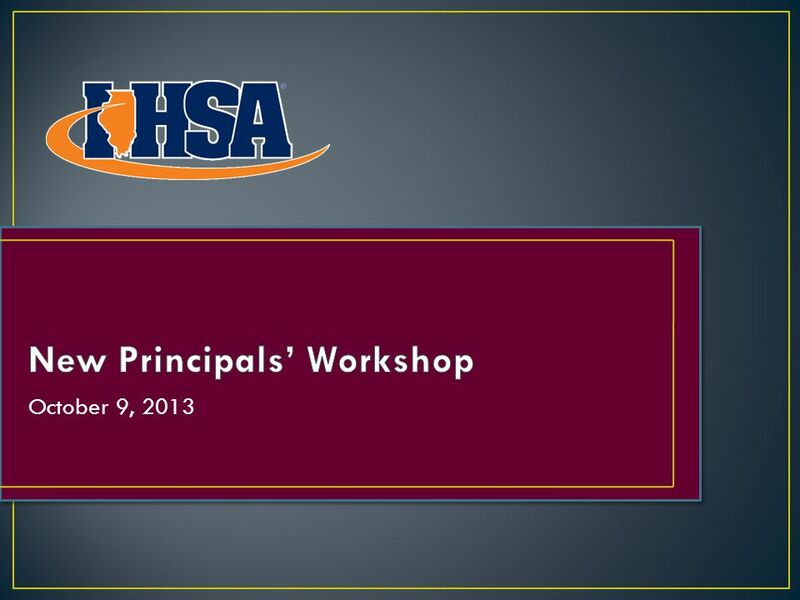 New Principals’ Workshop October 5, GOVERNANCE The Principal’s Role New Principals’ Workshop. 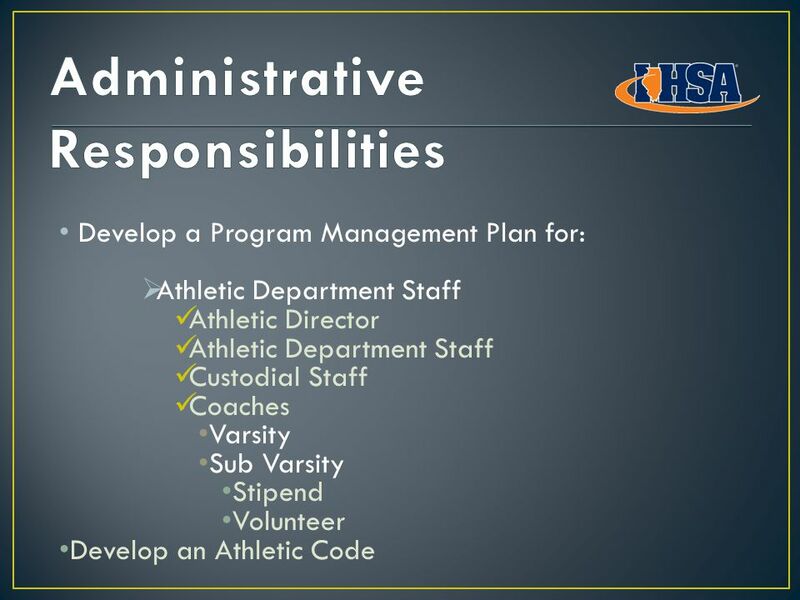 The IHSA governs the equitable participation in interscholastic athletics and activities that enrich the educational experience. Lady Hornets Softball Head Coach: David Hightower Asst Coach: Patti Henderson Parent Information Meeting September 22, 2009. Pitt County Girls Softball League Coaches Clinic Spring 2006.